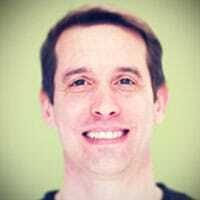 TL; DR: As ‘the world’s leading online survey platform,’ SurveyMonkey collects and sorts 3 million responses every day through quick, easy survey forms. With over 10 years of experience in survey methodology and web development, SurveyMonkey helps retailers gather much-needed data, interpret consumer feedback, and make better decisions through its Customer Satisfaction Surveys. For a cost-effective price, brands can refine their product pricing, branding strategies, and target audience outreach — all from a simple survey. Consumers want to be heard by retailers, whether they’re shopping at a shoe store or pottery shop. Listening to feedback is key to staying afloat in the retail industry, so analyzing a large amount of data can positively impact growth. SurveyMonkey, one of the leading online survey platforms in the world, provides much-needed survey templates and tools to help retailers of all sizes interpret consumer feedback and make better decisions. Whether there’s a shift in revenue or new product in the works, retailers want to understand what their customers want. By asking a few questions in a simple survey, retailers can use SurveyMonkey’s Customer Satisfaction Surveys to receive unbiased results. These surveys bridge the miscommunication gap and alleviate customer service errors, while collecting honest feedback on their overall experience with the brand. Using the navigation links below, you can jump to the different sections covering SurveyMonkey’s Customer Satisfaction Surveys, SurveyMonkey Audience, affordable pricing options, and how retailers can make better, bolder decisions. Creating happy customers should always be a retailer’s first priority. Flaws in products or service happen every so often, so if feedback is heard and the problem is solved, then business will continue to grow despite having issues. Retailers can choose from Net Promoter® Score (NPS), Customer Service Feedback, or Customer Satisfaction Surveys. In order to have steady customer satisfaction, gathering constant feedback is essential to gauge performance and understand what consumers desire. Customer Satisfaction Surveys help consumers voice their opinions to retailers. Through a few simple questions, anyone can anonymously describe his or her experience and opinions. Ultimately, this feedback will improve the retailer’s products, service, and overall atmosphere. Depending on what data you need, SurveyMonkey offers three types of customer satisfaction surveys: Net Promoter® Score, Customer Service Feedback, and Customer Satisfaction Surveys. Retailers can either gauge their audience’s levels of satisfaction over time or pinpoint bad customer service experiences immediately. SurveyMonkey helps you collect important information like this so you can improve your business. The Net Promoter® Score (NPS) Survey is a simple survey template that identifies customer satisfaction. This survey essentially gauges your company’s performance over time. Overall, the Net Promoter® Score Survey helps retailers take a glimpse at how they are perceived. Once the results are in, retailers can identify the percentage of customers who would recommend them and those who wouldn’t. Retailers should use the Net Promoter® Score Survey if they want to take a quick look at their overall performance. The Customer Service Feedback Survey is a survey that evaluates customer service, such as if employees handle questions and issues well with consumers. Horrible customer service experiences not only deter them from coming back, but are also one of the most common complaints. To create long-lasting relationships with consumers, the Customer Service Feedback Survey gauges if you have excellent customer service. Receiving honest feedback helps retailers improve overall experience. The Customer Satisfaction Survey, written by experts, is a survey that gathers insight on customer satisfaction. It’s the ultimate survey that identifies what’s making consumers dissatisfied. To refine product prices, target audience, and any other business strategy, retailers can use SurveyMonkey Audience, an additional service that has millions of people ready to take surveys and give much-needed feedback. From RedBook to Schoology, SurveyMonkey Audience has helped hundreds of companies, including retailers, refocus their marketing and product strategies. They will then start seeing real-time responses within two to five business days and have dozens of targeting options to choose from. SurveyMonkey Audience brings all the consumer feedback retailers need to make better future decisions. SurveyMonkey can help retailers listen to customers better through simple surveys. “We’re always looking to improve our tools and provide cost-effective ways for people to make decisions about their businesses,” Moser said. 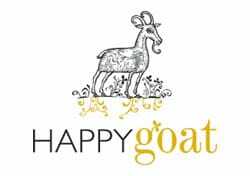 San Francisco-based Happy Goat, a company that produces artisan-made caramels with organically raised goat milk, wanted to create a better product strategy and embrace a wider audience with consumer insights. By teaming up with SurveyMonkey, they were able to do so. Happy Goat discovered 77 percent of survey takers purchase premium candy at grocery stores. Happy Goat found about 77 percent of survey takers purchase premium candy at grocery stores, value “taste” and “quality” more than “value” and “convenience’, and its target audience is consumers from household incomes of more than $50,000. About 36 percent of respondents also included feedback in the comment section about how they enjoyed the company’s “goatiness”. After sorting through this valuable information, Happy Goat refocused its pricing strategy to make products more attractive. The company also wanted to get their products in grocery stores so their target audience is easier to reach. As for the “goatiness” factor, Happy Goat was pleased to see survey takers appreciated the company’s extensive use of quality items. Without SurveyMonkey Audience, Happy Goat wouldn’t have gained insightful data to make their customers happier and products better. Modify Watches, an online startup that sells mix-and-match, customized watches and wrist bands, wanted to know if its prices, products, and marketing strategies were on point. With SurveyMonkey Audience, this company had the opportunity to gain great insights into what does or doesn’t work for expanding business. Modify Watches discovered that its initial product price ($40) was on point. When the responses were in, Modify Watches was happy to see more than 80 percent of respondents spend at least $20 on a watch, which shows the company’s initial price — $40 — doesn’t need to be lowered. The startup was also surprised to discover its demographic groups were divided into two very different target groups: young adults (18 and under) and older females. With these beneficial consumer insights in hand, Modify Watches grew confident in product prices and tweaked marketing strategies to reach out to a more unique audience. When retailers use SurveyMonkey Audience in addition to Customer Satisfaction Surveys, they make better decisions faster. Having access to this important data opens the door to better business and future satisfied consumers. SurveyMonkey makes its surveys services affordable for all businesses, so retailers can send and collect Customer Satisfaction Surveys throughout the year without paying high fees. The company offers four plans for as low as $0 a month and up to $65 a month — while having access to survey capabilities, fast support, survey builders, customization, branding, analysis reporting, and so much more. Retailers can choose from a Basic, Select, Gold or Platinum plan, depending on how many responses and surveys are needed throughout the year. With an annual plan, SurveyMonkey takes care of all the details and constantly updates survey services and web technology so retailers know they are always collecting invaluable data. Sending surveys and collecting data shouldn’t cost a fortune, and SurveyMonkey knows that. In addition to monthly and annual plans, SurveyMonkey offers unique survey services and options to help retailers understand data and discover better, faster results, as well as partners with popular online tools such as Salesforce and Marketo to create even better outcomes for businesses. SurveyMonkey’s Customer Satisfaction Surveys do much more than just gather analytical insight. They give retailers the opportunity to explore an idea, experiment with a new product or just compare their performance to competitors. By partnering with other innovative companies and adding new features that make using surveys even better for retailers, such as improving ways to track and view scores and results, the company offers great services for businesses that need crucial data to make the best decisions. At the end of the day, SurveyMonkey offers innovative tools that help any small or large retail business succeed and will continue to do so for years to come.